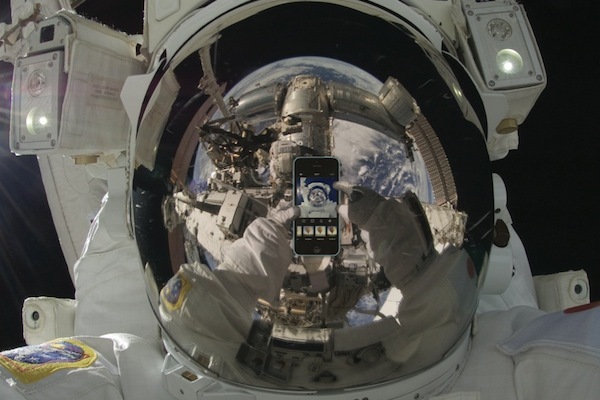 From toppling governments to selfies in space, in this episode of Brand Talk, Karl Treacher brand-talks about three big brands and three quirky brands that have had a profound influence on global culture. Like it or not, the world we live in is shaped by the brands that support us. Never before have so many brands been so integral to our culture and never before has culture been so global. This month, I’ve taken a look at some of the global brands that are the beacons of our time. Importantly, I’ve ignored some very culturally important brands in this short list: Apple, Box, Facebook, Etsy, Toms, Tumblr, Scribd, just to name a few. The ol’ faithfuls that remain important and relevant – Nike, Coca-Cola – have also been overlooked (due to my word count restrictions). Rather than a Top of the Pops-style take, I’ve nominated brands that have proven to be disruptive and that I predict will continue to have a disproportionate cultural impact. When Marketing‘s esteemed editor briefed me this month I assume what he had in mind when he said ‘culture’ were the single-origin espresso sippers, artisanal liquor procurers and local-harvest kale-munchers in his social set. I don’t think he was considering the gilt extremes of the autocratic elite, but this brand has had a strong influence in ending their culture: it’s impossible to deny Twitter its place in a list like this. However over-covered, few brands have toppled governments and Twitter has had a hand in four or five ‘regime changes’ (depending on whether you count a double-ouster in Egypt once or twice). It then helped spread a major uprising to seven other nations, and a number of smaller protests in about six additional countries. And, at time of writing, it’s censored in Turkey. Not since Coca-Cola and the Iron Curtain has a brand faced such extreme ideological opposition. For this reason, it gets pride of place. At the top of the personal branding mountain stands this man. Many speakers and authors have created personal brands to rival his, but few have managed to cross as many disciplines and influence the thinking of as many people of genuine influence in their own right as Gladwell. His halo may be attracting a little extra schadenfreude lately, but there’s no denying his personal brand equity allows him to make educated leaps of reason few journalists or traditional brands would be allowed. This is the one I didn’t want to nominate, but just plain had to. It’s cemented the selfie in our culture, created the controversial/useless #NoMakeUpSelfie cancer awareness campaign, spawned the (yawn) #ButtSelfie, the eye-rolling breakfast photos, the mystery of hot dogs or legs, and humble-pride #TBT (Throw-back Thursdays). Maybe it’s amplifying vanity, maybe it’s revealing it, but Instagram’s impact on culture is at the very least global. The top 10 geotagged cities in 2013 start and end on the North American coasts, but include Bangkok, São Paulo and Moscow as well. Just like Seinfeld’s Kramer… if only we could harness this power for good. It makes a game based on stealing cars, among others. 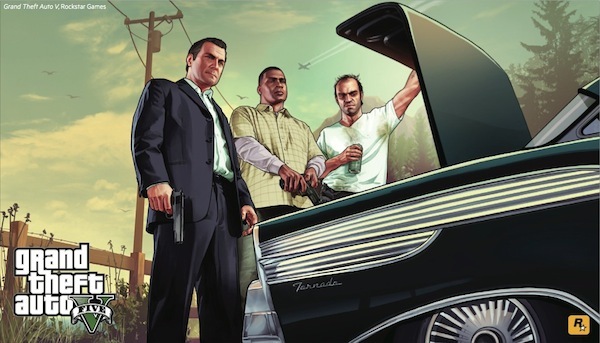 The announcement of the fifth instalment of Grand Theft Auto in 2011 saw a same-day seven percent jump in the share price of its parent company, Take- Two Interactive. Its release broke seven world records, including highest revenue generated by an entertainment product in 24 hours and fastest entertainment property to gross US$1 billion. The video games industry outstripped Hollywood in revenues about a decade ago and ran about 10 times higher last year depending on how you cut the figures. Yet the stereotype of the pimply male gamer persists. 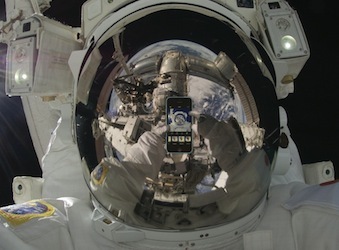 Probably time to throw that one out and find roles for brands beyond product placement and gamification. A lot is made of the instant and pretty-much-free communications effect of the internet and for good reason (just look above, at Twitter). But harnessing ease of communication to drive physical change and create real-world communities is still in relative infancy next to discussion boards and the 15-year-olds I used to shoot on Halo at 4am on Saturday mornings. Strava is the confluence of all the trends marketers have spent the past decade discussing: freemium, gamification, apps, GPS/localisation, mobile, internet communities and digital incentives. It’s an app that lets runners and cyclists compete against themselves, their friends and other athletes on popular routes. It’s a challenger brand to Nike+ and the like, just done smarter and bigger in its niche. ‘The Front Page of the Internet’ is another assembly of factors brand experts and marketers have been discussing for a long while: the wisdom of crowds and the power of niches. For those out of the know, the site’s content is user-submitted and that content is split across categories (known as subreddits), the content can then be voted up or down, with the most positively-voted content appearing on the front page. Like Digg meets a forum. While Reddit is still a small blip on the mainstream radar, it produces outsize influence by allowing important niche topics being discussed by experts and enthusiasts to attract a wider audience. Or, vice versa, direct a very wide audience to a previously little-known or little-regarded subject. It and its imitators influence media agendas both by demonstrating potential audiences and directing them. A number of famous users have lent the site some mainstream glare in a popular post format known as an AMA (Ask Me Anything): Harrison Ford, Barack Obama, Bill Gates, Bill Murray, Snoop Lion, Arnold Schwarzenegger… and someone who acted in the original Power Rangers series. Like everything else on the internet, in addition to toppling world leaders, it also popularises cat videos. I hate cats, and videos of cats. Brand influence through the prism of culture is highly subjective; however, for those less interested in forming their own opinion I hope you’ve enjoyed mine… or at least read this far. The common thread running through all these brands is connectivity and communication – well above anything traditional media has cooked up previously. The better brands of our time are recognising this and taking ownership, and providing facilitation and connected communication. with more than 15 years of brand consultancy experience and a pioneer of organisational branding and culture alignment. Tweet at him using @treacher.